Get your entry for the Henley Triathlon in before the 28th April 2019 & you'll be added to the prize draw to win back your entry fee! If you've already entered then you are in the prize draw automatically. Join us to celebrate the 10th Anniversary of this popular event taking place at Henley Leisure Centre and within the grounds of Gillotts School. Henley-on-Thames is perhaps best known for the annual Royal Regatta, which attracts some of the world´s finest rowers. Conveniently situated just outside the picturesque town of Henley, on the edge of the Chiltern Hills & the banks of the River Thames and boasting a spectator friendly course, the Henley Triathlon is one not to be missed. Do you have children that can't wait to become a triathlete? Make a weekend of it and enter them in the UK Kids Fun Triathlon on Saturday 27th July for 5-16 yr olds. At the Henley Triathlon our “Fun” and “Sprint” distances are very popular with first timers and beginners, with short achievable distances that still offer a challenge. 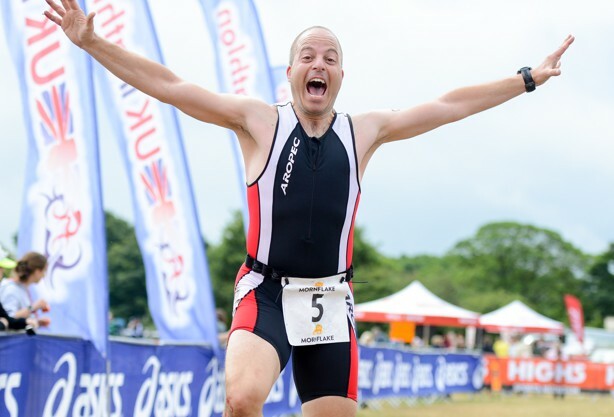 Our fun & friendly events are open to everyone and an ideal introduction for beginners to the sport of triathlon. The Henley Triathlon offers a supportive environment, with cheering crowds and a fun & relaxed atmosphere meaning everyone enjoys the day, competitors and friends & family alike. The swim discipline takes place from the indoor swimming pool followed by the cycle course which is flat with some undulations and takes in many fields and trees in this rural route through the Oxfordshire countryside. The final run discipline is on grass around the picturesque grounds of Gillotts School. Really nervous doing this as it was my first, out of the 14 in my briefing group all of us were novices! The event was well organised and welcoming, not too big or scary. Loved the bike course in the sunshine, the run was hard work in the heat! Thank you fororganising a really great event and especially thank you to thevolunteers.Every was so encouraging andcheerful - I thoroughly enjoyed myself and hope to be be back next year!